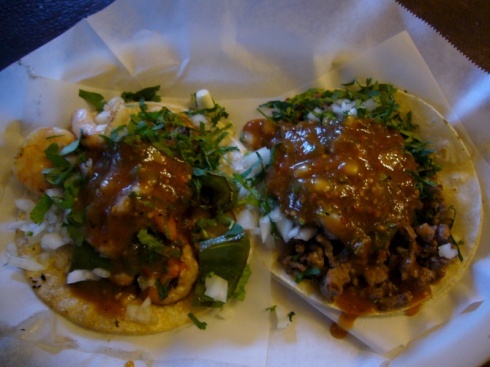 If you’re in San Francisco for the Maker Faire early please join us for the Dangerous taco crawl from Noise Bridge hacker space through the Mission District on Thursday the 16th. 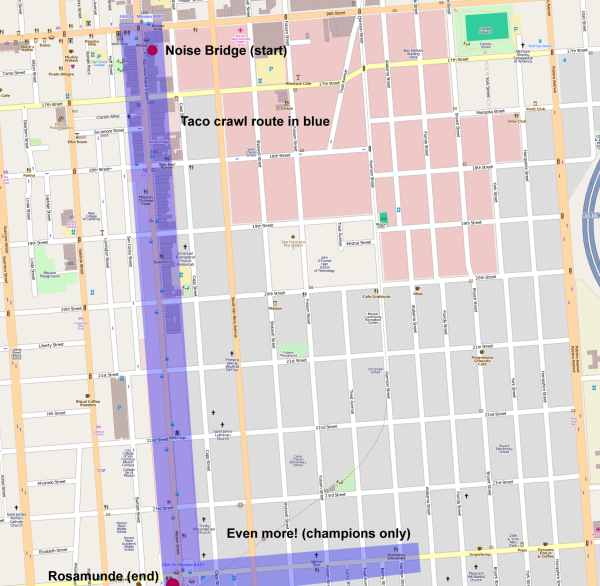 We’ll meet at Noise Bridge near the 16th and Mission Street BART stop at about 6pm. If you can make it please give us a shout via the contact form. This entry was posted on Thursday, May 15th, 2014 at 11:00 am	and is filed under Maker Faire. You can follow any responses to this entry through the RSS 2.0 feed. You can skip to the end and leave a response. Pinging is currently not allowed.